There's more to Vietnamese food than a steaming bowl of pho, and frequent diners at Superior know to force themselves beyond the tried-and-true brew. Those who push their culinary horizons are rewarded with dishes like refreshing shredded chicken cabbage salad, crispy bánh mì sandwiches, savory grilled pork on vermicelli noodles, and fiery bowls of bún bò hue (beef noodle soup). Wash it all down with a glass of Vietnamese iced coffee, sweetened with condensed milk. 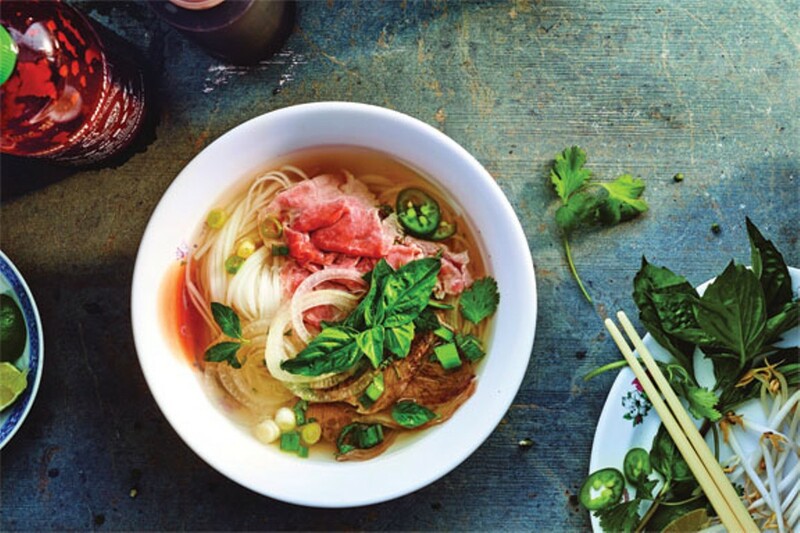 In a dining landscape littered with cheap fast food and expensive boring food, we're thankful for places like Superior Pho, which offers affordable food that is fresh, exciting and deliciously different. 3030 Superior Ave., 216-781-7462, superiorpho.com.